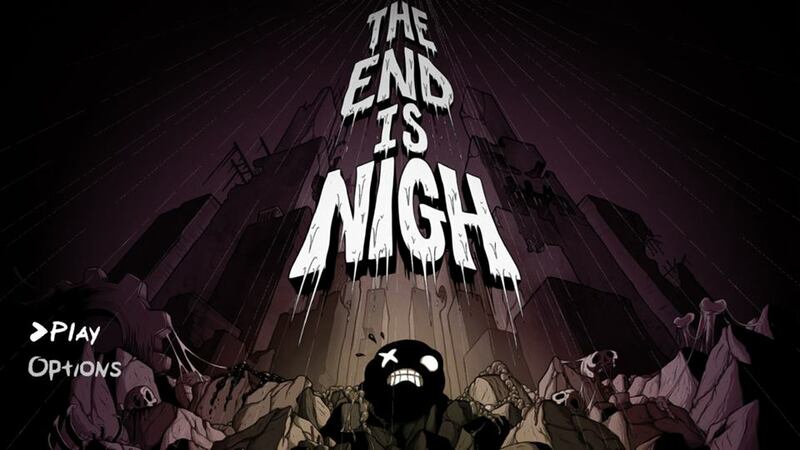 The End is Nigh is considered by many a spiritual successor to Super Meat Boy. 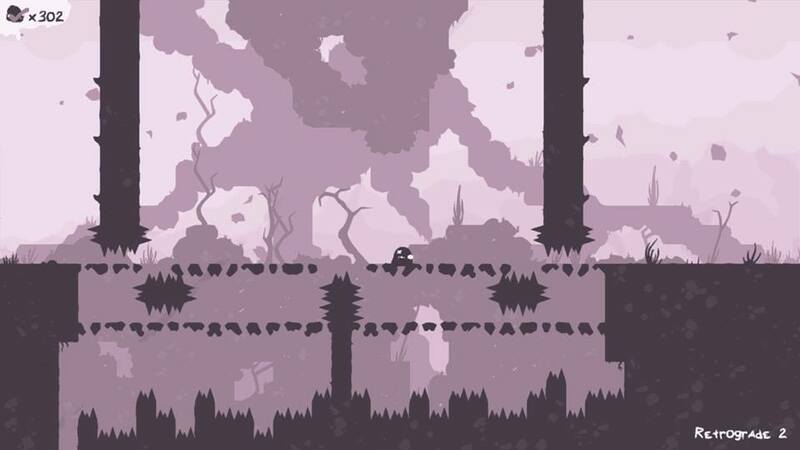 The only similarities I’ve seen over 20 hours of play and more than 7,000 deaths are that it’s a challenging 2D platformer that requires tight control, focus and patience. Otherwise, The End is Nigh is a tour de force and a complete departure from Super Meat Boy. The game begins in The End, where the world is an apocalyptic dystopia but the main character, Ash, is still live streaming his favorite video game. It’s a clever start to the game and soon you’re controlling Ash on his adventure to find a living friend. The control of Ash is as tight as platforming gets. His length of jumping depends precisely on how long the button is held - the A button on the Switch, where I played and beat this game - but once he lands back on a surface there’s no sliding. Ash can also hang on the edge of walls and specific hangers and jump off them to get some more horizontal length. The physics engine is fine-tuned, and eventually becomes second nature while trying certain stages over and over (and over). Sometimes you’re outrunning a collapsing ceiling while jumping over spikes on the ground, other times bullets or enemies are homing in while you’re navigating from left to right (or the other way around). Big props to the programmer Tyler Glaiel for the accuracy of controls. It’s a stressful game, but every level is possible and relief when finally accomplishing a stage is powerful. Designer Edmund McMillen is a virtuoso. His best games are barebones but addictive, and the level designs in The End is Nigh go beyond any platformer I’ve played. Sometimes a few stages in a row require dozens of attempts and are followed by a few that can be more easily finished. He’s said that his design of this game has come from a difficult point in life, and the stress that he’s felt while designing is palpable for a player, who also feels the need to come out the other side a stronger person. Sixteen different worlds run the gamut of enemies, color schemes and strategies needed to advance to the next stage. 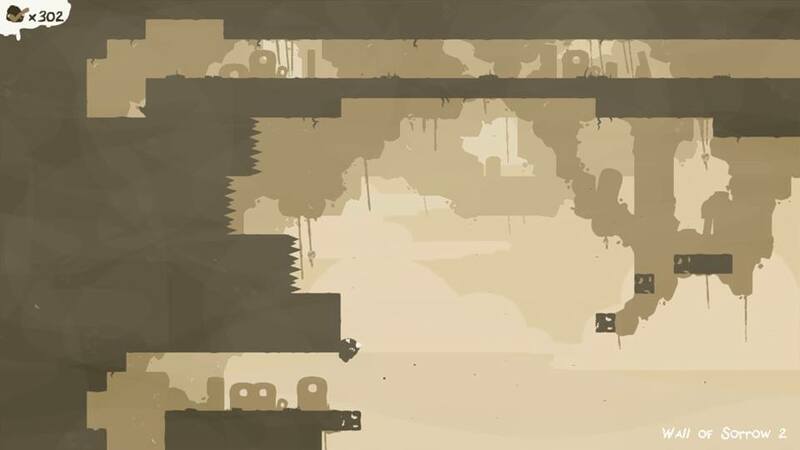 Each stage (of which there are more than 600) also has a tumor to collect in difficult places, a throwback to the bandages in Super Meat Boy. Checkpoints exist at the start of every stage making it fair and great as a portable auto saving game on the Switch. Towards the end of the game this rule changes and makes it a little more frustrating, but I won’t spoil why that happens. Visually and audibly, each stage is atmospheric and brooding. The soundtrack contains classical songs remixed into rock and repeated well through each world. Each world has secrets and collectibles hidden throughout, including game cartridges that can be played back on Ash’s TV. These are insanely difficult to find and play but are nice bonuses and add even more time to this lengthy game. The main attraction of The End is Nigh is its pure adrenaline, top stage designs and physics system. The secondary is the emotional resonance McMillen actually used to design the stages and how that pushes you to continue playing them, regardless of nigh-impossible completion. It’s a top game of 2017 and is highly recommended for all difficult platformer adventure fans. Credits: This game was designed and developed by Edmund McMillen and Tyler Glaiel. It was ported to the Nintendo Switch and published by Nicalis. It was purchased for and reviewed on the Switch. Approximately 20 hours were devoted to single-player mode and the main game was completed. Some hidden items, extra stages and game cartridges were not found. Accessibility points: No subtitles are available for cutscenes, which is a bummer since the story will not be shared with deaf gamers. I could barely even hear the dialogue with a high volume. Luckily no noises are necessary during gameplay - it’s all visual. Chat boxes are available from characters throughout levels. Controls are not remappable. The controls needed are incredibly simple - A to jump, any left or right trigger to hang on an edge, left control stick or D-Pad to control movement. No colorblind modes are available. Fortunately the game design is strong for colorblind players. Main play areas are all simply black and white and easy to fully distinguish from backgrounds.